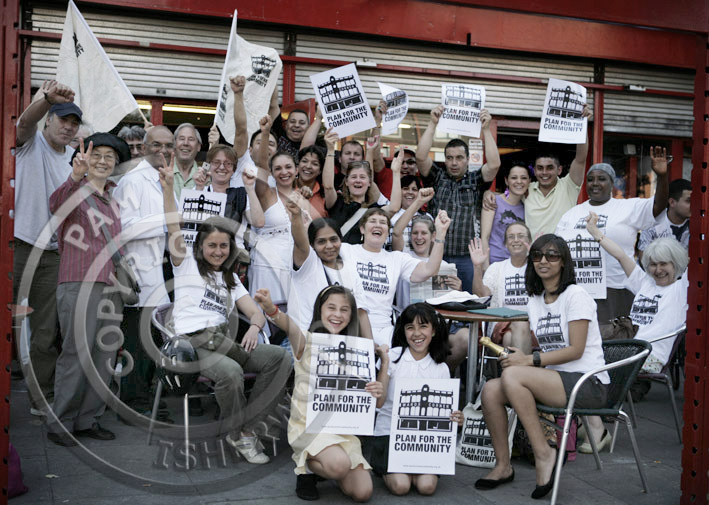 London Borough of Haringey Planning Committee . 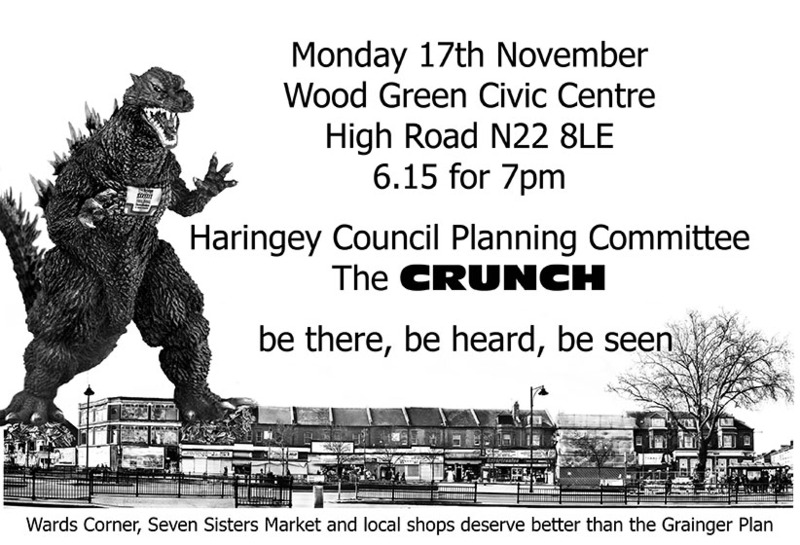 Vote 5 (Labour) to 4 (Liberal) to pass the Grainger Plan to demolish Wards Corner, the Seven Sisters Market, shops and houses. Pass it on. Cliick image for A4 version or email me (see About) for hi-res copy.